We are a leading Manufacturer of eye ball stand, lensmeter, trial lens sets, slit lamp, surgical microscopes and keratometer from Indore, India. Keeping in mind ever-evolving requirements of our valuable clients, we are offering Eye Ball Stand. Used for micro-surgical training on human, this eye ball stand is designed with stainless steel base and a spring loaded clamp. The base has a concave cavity for keeping the eyeball in place whereas the clamp is used to fix the eyeball firmly and regulate the intraocular pressure. Also, this stand is intended for micro-surgical training on human / animal eyes. A Lensmeter or Lensometer Hospital Equipment, also known as a foci meter, is an ophthalmic instrument. Lensmeter is mainly used by optometrists and opticians to verify the correct prescription in a pair of eyeglasses, to properly orient and mark uncut lenses, and to confirm the correct mounting of lenses in spectacle frames. Lensmeters can also verify the power of contact lenses, if a special lens support is used. Backed by a team of skilled engineers, we are highly engaged in offering a wide range of Trial Lens Sets. Our offered lens set is manufactured by us using top class material as per the set market standards. The provided lens set is accessible from us on several sizes & other specifications as per the variegated demand of clientele. 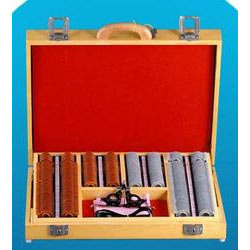 As well, these lens sets are acclaimed for their slim, compact and light weight & provided as per the need of customers. 16.00 to 20.00 in 2.00 Steps. Abiding by the strict rules and regulations of the organization in compliance with the industrial norms, we are passionately engaged in offering Slit Lamp. 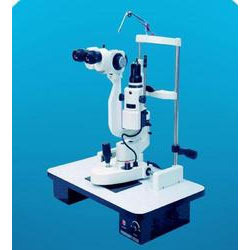 This slit lamp consists of a binocular observation system & illumination system. Also, we provide this slit lamp provides a magnified, three-dimensional view of the structures within the eye. 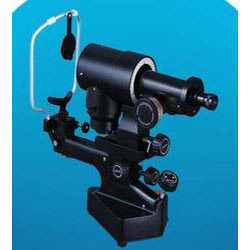 The offered slit lamp is widely used for the detection of diagnosis of eye diseases such as myopia and cataract. 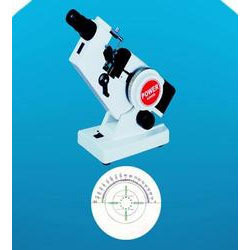 We are a reputed organization, enthusiastically engaged in offering an excellent performing range of Surgical Microscopes. 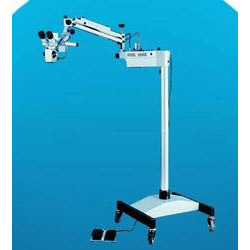 Our surgical microscope is highly demanded in the market for their easy adjusting lens & quality. The offered surgical microscope is used to obtain an enlarged image of small objects. Moreover, this surgical microscope can also be customized as per the several requirements of our customers. A Keratometer also Known as ophthalmometer is an ophthalmic instrument used in ophthalmology and optometry to measure the curvature and reflection of the anterior surface of the cornea. Also sometimes called an ophthalmometer, the keratometer is primarily used to diagnose the presence of astigmatism and to determine the degree and treatment of astigmatism. Astigmatism is a condition of the eye in which the cornea or lens is misshapen and can result in vision problems. 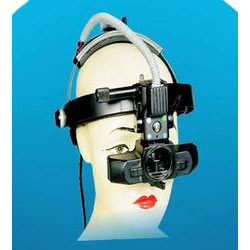 We are one of the most trusted names in the industry for Manufacturing and Supplying of high quality medical equipments like Indirect Ophthalmoscope. Simple Control for Adjusting the Headband. 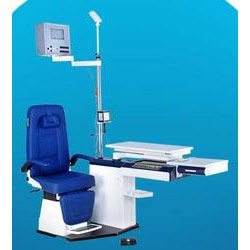 We provide our clients with Ophthalmic Chair Units that are used for diagnosis purposes in hospitals and eye care centers. These full motorized recline units facilitate up and down movements for retinal examination lens with illuminating soft light for examination. Our ophthalmic refraction chair units are sleek in design and thus take minimum space and offers optimal functionality. A Multi Functional Unit For Comfortable Usage By Ophthalmologist Providing Optimum Utilization and Patient's Comfort. Occupies Minimum Space and Provides Refraction Examination in One Unit. With Hands On Control Panel For Overhaul Lamp, Slit Lamp Auto Referactometer, Ophthalmoscope / Ratinoscope, Chair Elevation & Auxiliary Outlet, This Versatile Unit has effortless lateral movement. The Chair Can Be rotated 180° Around Vertical Axis With An Electrical Input. Can Be Locked at Any Position. The Elegant Smooth and Noiseless Chair Can Receive Up to 180°Through Motioned Movement Converting it into Minor Surgery Table.